It’s the smell or taste of a favorite Christmas cookie or the special food only eaten this time of year. The way Mom always made everyone feel equally loved with her unique and thoughtful gifts for each person. Traditions, rituals and memories all come flooding into our consciousness this time of year. These scenes can bring warm memories like a hug from the past. But some can bring pangs of grief, regret or other sad thoughts. It’s important to acknowledge our memories and feelings from the past that intersect our present. But dwelling on them can cause depressive thoughts and can also lead to cognitive (thinking) deficits, according to research. Many people believe negative begets negative and this research also proves it can also interfere with our thinking processes. In the study, when depressed individuals kept thinking depressive thoughts, it interfered with the person’s ability to keep their train of thought and subsequently affected their thinking and mental performance. When sad or bittersweet memories come to your mind this season, honor them with acknowledgement. But try not to dwell on them, or at least try to see the positive in each situation and apply it to today. 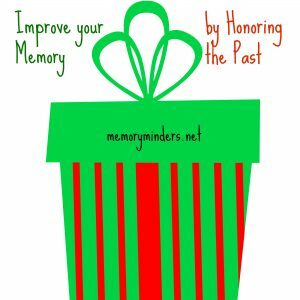 How do you honor your memories of the past? By incorporating the best parts into the memories you create today. Don’t linger on the sad or difficult memories of the past. Learn from them and move on making new and positive memories you can look back upon with happiness and love. This will greatly enhance your holiday season and your cognitive function as well! It’s finally here! No, not the snow that falls this time of year, but the beginning of the holiday season. Thanksgiving typically marks the start, although it certainly seems as if it’s already begun with holiday advertising in full swing. Most of the retail world can’t capitalize on Thanksgiving, so they skip over it to the holidays in general. But let us not skip over Thanksgiving. Let’s linger here, pausing for reflection and a breath before the busyness of the holidays. Whether your holiday includes 2 or 20, make it special by remembering what and for whom you are thankful. Some have a tradition of sharing what they are thankful for before the feast begins. Let’s not be too eager to eat, watch football or catch a pre-Black Friday sale that we neglect our thoughts of thankfulness. For many of us, the holidays can bring a renewed sense of loss as we miss those no longer with us. It may cause pain or regret and not thanksgiving. But when we choose to see our lives and moments as a glass half full and not half empty, we not only look forward to the good in life, but also help our mind and memory. A positive outlook has been associated with improved memory, overall perception of life and is a key indicator in successful aging. Negative thoughts lead to stress and all its physical and emotional implications as well as worsen depressive symptoms. Let’s not allow our burdens to overshadow our blessings. Choose to see each day as a gift. Upon waking, I try to dwell first on my blessings and practice thankfulness before thinking of the duties or stresses of the day. When I do this, my attitude shifts and I see the day, my responsibilities and the people around me as a gift. Begin this Thanksgiving to practice an attitude of gratitude each day. See if it changes your outlook towards the holiday season or your life in general. Not only will you be impacting your holidays and the people around you, but you will be improving your outlook and overall wellness. What a wonderful beginning to a thankful holiday season! If you want something done, just ask a busy person. I thrive under pressure. I cannot say no. All of these comments reflect how some people prefer to live with more stress than others. They are the do-ers of this world. They take on every challenge-often for very different reasons. The organized, busy and yes, sometimes overwhelmed people of this world are the ones who get the most done. Ever hear the phrase “90% of the work is done by 10% of the people”? These folks are certainly productive. But at what cost? Stress levels ebb and flow over the course of our lives. We all function differently when under stress as well. Some rise to the occasion and function almost better under stressful conditions or deadlines. They need the motivation or just like the challenge. But it’s a fact that stress interferes with not only our bodies, but also our minds. Listen to your body-when headaches, body aches, stomach issues or various ailments arise, ask if there isn’t a stress related source. 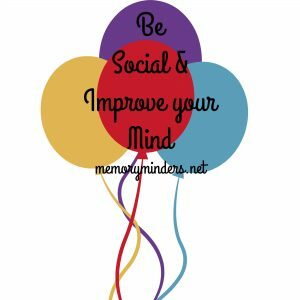 Listen to you mind as well-are you more forgetful, feeling overwhelmed or not finding joy in usually enjoyable times of your life? If so, maybe stress is the culprit. 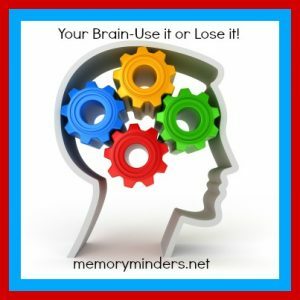 Many middle aged people ask me about increasing forgetfulness, concerned they have an underlying problem. My first question is to ask about what is going on in their life. Are they too busy, stretched too thin or stressed in any unusual or even chronic way? This may the reason for the forgetfulness. As we enter the holiday season with all the additional events, activities, responsibilities, and yes, stress involved, make sure to take the time to listen to your mind and body. Balance the stress, commitments and ‘yeses’ you agree to these next few weeks. 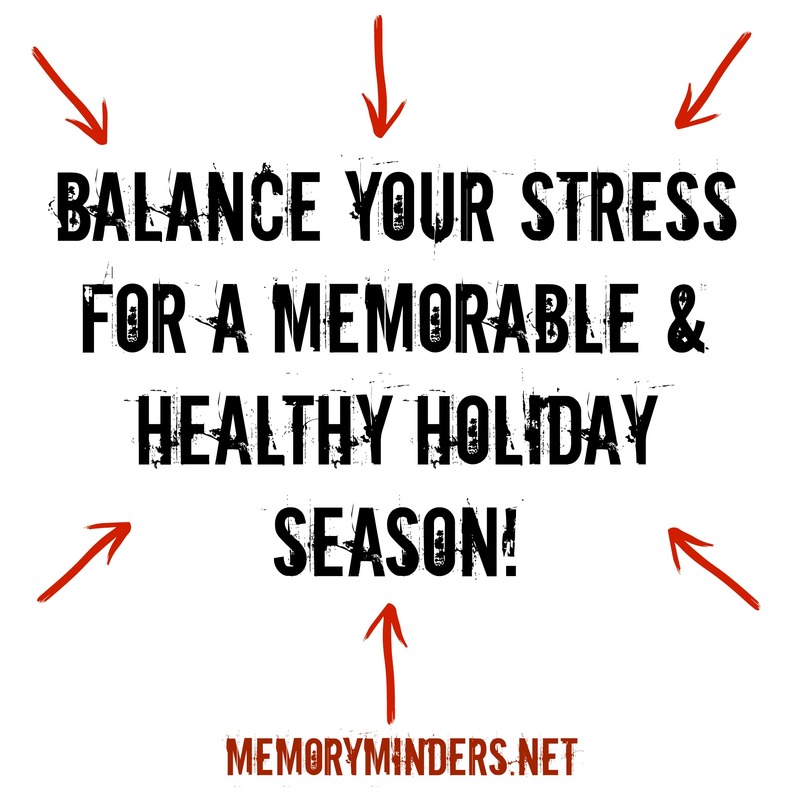 Getting out and enjoying the season with different opportunities is great for your brain but when it becomes unbalanced, it will impact you in ways you may not even notice. Enlist help, use your organizational skills and allow time for relaxation amid the hustle and bustle of the season. 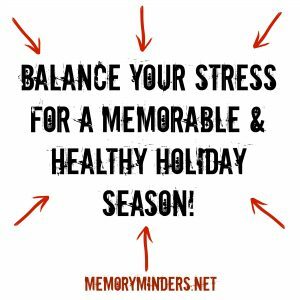 When we pay attention and live a life that’s balanced, we truly will experience a wonderful holiday season but also mind and body wellness. The more we learn, the more we grow and the same is true for the brain. It’s amazing how the brain can react, grow and adapt to stimuli whether educational, environmental or from an injury. We all understand the brain rehab that needs to take place after a stroke or brain injury for the brain to relearn old and new information. This natural ability of our brain to create new connections to compensate for changes is called neuroplasticity. This neuroplasticity continues to be researched to find new and different ways to help those adapting to changes in their brains due to injury or disease. But neuroplasticity is important for everyone, not just those experiencing brain issues. Neuroplasticity allows us to continue to use it to not lose it as the saying goes. This saying is based on the brain’s ability to keep growing brain connections as long as we continue to use it. That is why challenging our brains each day is important. We discuss the importance of brain fitness, mental aerobics, brain games and the like at each MemoryMinders session. It’s that important. No matter what we do each day, we should be stimulating our brains for at least 60 minutes. This is easily done when we are young and engaging in mind invigorating work or school each day. But it shouldn’t end when we graduate or stop working. On weekends, vacations and in retirement we still need to exercise our brains. This is where the exciting part comes in; being creative with how we engage our brains can be fun! Evenings, weekends, vacations and retirement can be all about challenging our brains outside the normal routine of our days. Exploring new opportunities, adventures, foods, events and games are all ways to exercise your brain. Stretching your brain with others can make it even more appealing, as it includes socialization which is also beneficial for your brain. 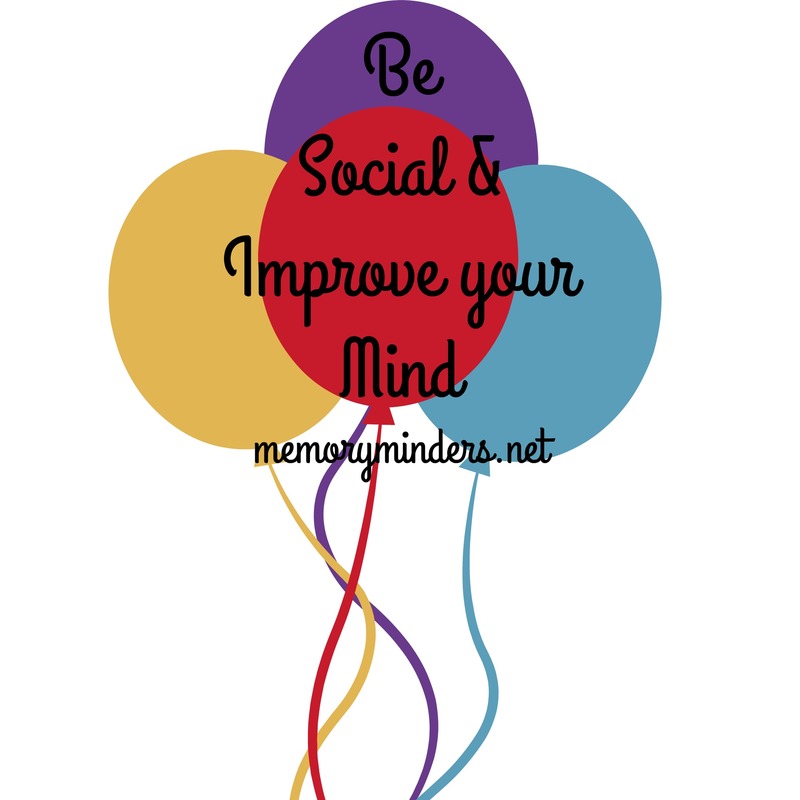 Activate your brain, let that neuroplasticity work for you and have fun with it! Research shows the more varied ways we use our brains, the better our brains will work now and as we age. I know that makes it worthwhile for me, how about you?